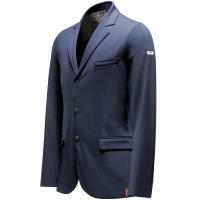 Integration for customization Animo competition jacket. 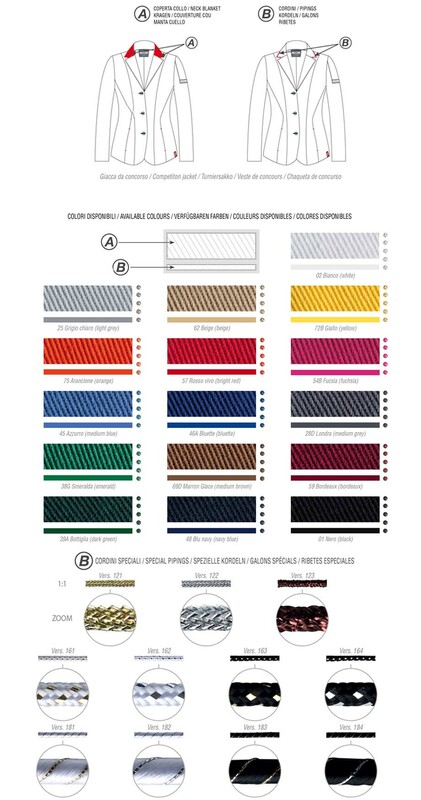 The collar of the jacket will be customized by choosing the color of the collar (A) and the lanyard (B). Processing times are about 4/6 weeks for customizing the neck. To choose colors, consult the "technical data sheet". 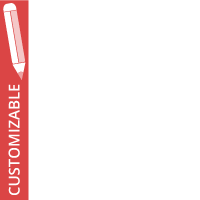 Once the purchase is complete, simply specify the colors chosen for (A) and (B) in the cart notes.